If you have had your car for a while and the miles are piling up and you hear a new rattle and the steering is just a bit off, you may start thinking about selling it or trading it in on a new ride. But then you think aside from some cosmetic flaws and the mysterious new rattle your old car still gets you reliably to and from work. Maybe if you just put a few dollars into it to make sure it’s mechanically sound you won’t have to buy a new car. Spend money fixing up the old rig or start shopping for a new ride…what to do, what to do?At IQ Auto we have been buying used cars (that’s all we do we don’t sell anything) for years and we would like to offer a quick guide on how to make a rational decision on fixing or selling a car or truck. Loose the emotional attraction. This may sound silly but we see it every day. Maybe your car is the first one you ever bought on your own or the first new car you bought or it was given to you by a relative. You’re not putting a pet down; put all the emotional value off to the side and only deal with the machine. Get a good idea of what the car is worth. This is easy to do by visiting Kelly Blue Book (kbb.com) or Edmunds.com and entering accurate information about your vehicle. Both sites will provide you ballpark figures for selling to a private party or a dealer in your neighborhood. Cost of repairs. If you have specific items that need to be repaired call around to get estimates on the cost. If you think you can live with the ride “as is” you are probably fooling yourself. Go to a trusted mechanic and have him do a thorough inspection including a diagnostic and then determine what your repair costs will be. Don’t forget about major maintenance tasks that crop up after 80,000 miles or so like replacing coolant hoses and timing belt. These can easily be $1,000 each. Opportunity cost. If the price of repairing your car is greater than its value then it would seem that buying a newer car would make sense…but does it. 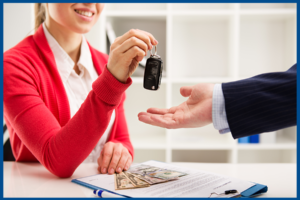 If you finance a new car you are going to have a car payment (that you are not paying now) for years to come. Also, you may need money down and that amount may exceed the cost of fixing up your old car. And then there is the increased cost of insurance which, because the new car is financed will have to have collision coverage, something you probably don’t pay for today. If you are on the financial edge. If a new car is out of your reach financially consider a newer used car which today are probably the best values going. Your financing will go down, your down payment will be reduced and your insurance won’t cost as much. If you are ready to buy a newer car consider selling your car to IQ Auto Buyers. You’ll get a written quote, the whole process including paperwork takes about 30 minutes and you are paid on the spot. When you deal with us there is none of the hassle of trying to sell the car yourself or trying to figure out if a dealer is playing with the trade in value just to make a sale. Visit us today.